SANAA, Yemen -- Yemeni security officials and tribesmen say U.S. helicopters airlifted soldiers to the Arab country's central Marib province where they clashed with suspected al Qaeda militants. Two Navy SEALs suffered injuries to their arms and were flown to a hospital in Djibouti, CBS News national security correspondent David Martin reports. The accounts followed a statement from the U.S. Central Command saying that U.S. forces killed seven members of al Qaeda in the Arabian Peninsula (AQAP) during a raid in Yemen early on Tuesday. U.S. defense officials told CBS News there are some U.S. wounded but they were all "ambulatory," meaning they didn't have to call in a Medevac, but they did call in an AC-130. This was the deepest raid yet conducted into Yemen. Officials said Tuesday morning that the mission was to collect intelligence in the form of laptops, cellphones and other materials. They are now saying the purpose was to "disrupt AQAP operations." They are "still assessing" who they killed, although this morning they said there were no "High Value Targets" -- the term used to describe senior militant commanders or operatives. One U.S. defense official told CBS News, "there will be more of these," which officials also said following a U.S. raid in January that left one Navy SEAL dead. That raid was followed by about 80 airstrikes in the ensuing weeks, presumably working off intelligence gathered during the raid. 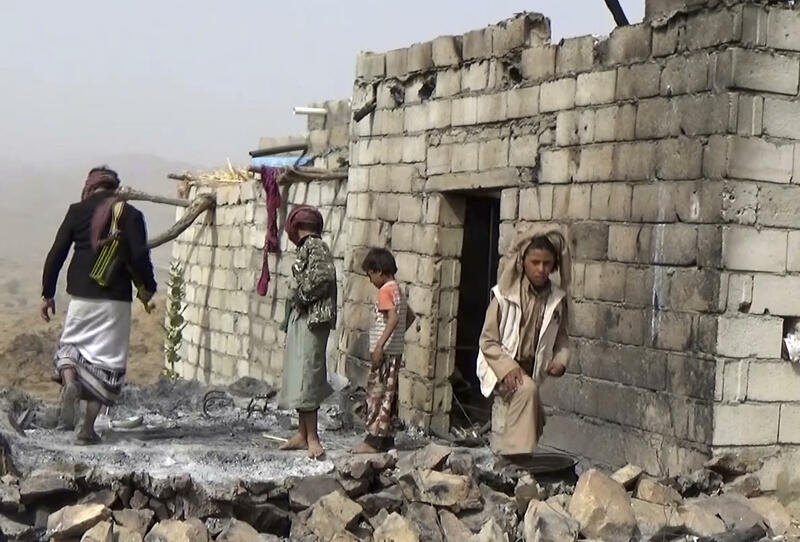 Tribal members said Tuesday that explosions were heard in the al-Sirim area in Marib, followed by helicopters and gunfire. The officials say there was also bombing in nearby Bayda province. The security officials and the tribal members spoke on condition of anonymity because they are not allowed to talk to reporters. They also did not have any specifics on casualties. The Defense Department said the U.S. forces used "a combination of small arms fire and precision airstrikes."